Although there were 119,209 people in China counted under the Jingpo nationality in the 1990 census, the official Chinese classification includes members of the Zaiwa, Maru, Lashi, and Bela people groups, in addition to Jingpo proper. In China the Jingpo are known locally as the Dashan (Big Mountain) people. 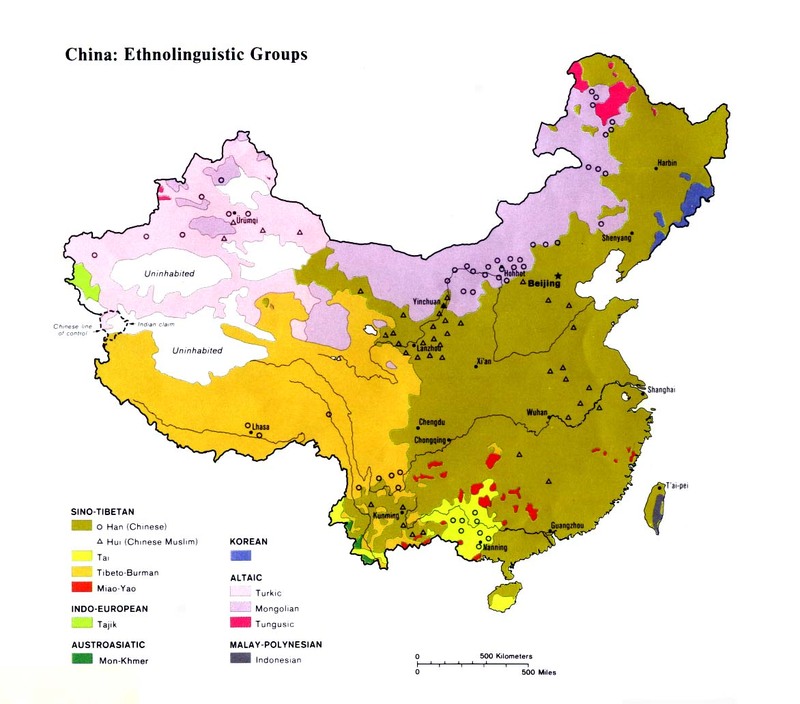 The Jingpo claim to have originated on the Tibetan Plateau. The fact that some scholars believe the present-day Deng language in southeast Tibet is related to Jingpo, adds credence to their claims. During the Yuan and Ming dynasties (1271-1644) the Jingpo were known as the Yeren. They had probably arrived at their present location in western Yunnan by the start of the sixteenth century. From there they migrated south into northern Myanmar, where today they are the largest group in Kachin State. Jingpo and Zaiwa are almost identical in every aspect of their historical and socioeconomic backgrounds, except for their political organization. The highest leader in Jingpo society is called Pumtu in Jingpo and Pumtsau in Zaiwa, meaning "master of the mountains." For centuries the Jingpo have practiced lashi or naji, meaning "snatching cows by military operation." This leads to on-going conflict with other nationalities. From 1980 to 1982 three Jingpo settlements reported 443 cases of lashi. The consequences were 7 deaths, 153 people wounded, and 338 cattle stolen. Many Jingpo today are Christians, having been converted through the ceaseless efforts of missionaries starting in the 1870s. Jingpo legends "tell a story of the passage over a bridge, to the after-life ... these folk-myths came down from a long-gone past, like the far-carried boulders of the Glacial ages." The first missionary working among the Jingpo in Myanmar (formerly Burma) was Josiah N. Cushing in 1876. By 1941, the baptized Jinpo in Burma numbered 47,526. In the same year the Jingpo in China numbered 415 converts. Today, estimates for the total number of Christians among the five Jingpo groups in China range from 7,000 to 8,000 and as many as 55,000. Because the large Zaiwa group have proven highly resistant to the gospel, the higher figure is very unlikely. The Jingpo in Myanmar have evangelized many other people groups in their country. Scripture Prayers for the Kachin Jingpo in China.